Photograph of the Minuteman Statue, Battle Green Square, Lexington, Massachusetts, USA. 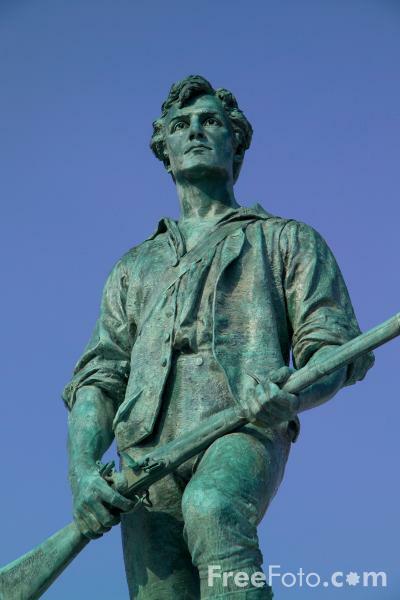 The Lexington Minuteman Statue was created by H.H. Kitson and was dedicated on 19 April 1900..